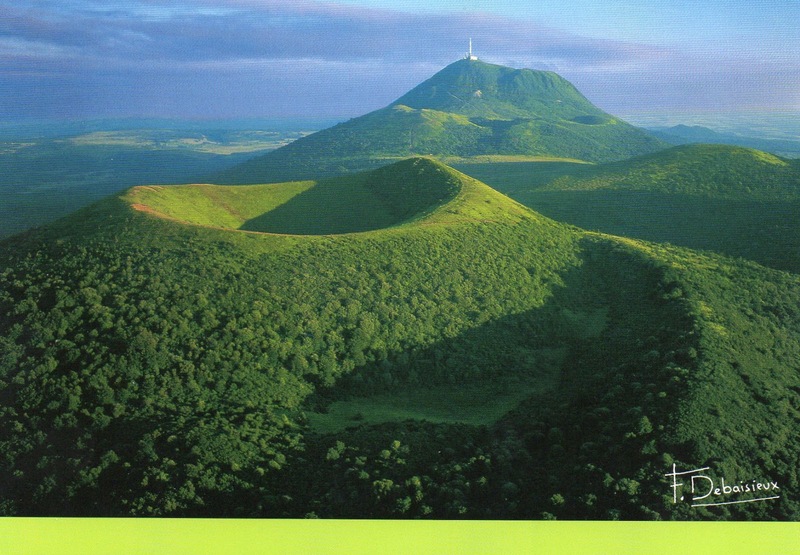 The Chaîne des Puys is a north-south oriented chain of cinder cones, lava domes, and maars in the Massif Central of France. The chain is about 40 km (25 mi) long, and the identified volcanic features include 48 cinder cones, eight lava domes, and 15 maars and explosion craters. Its highest point is the lava dome of Puy de Dôme, located near the middle of the chain, which is 1,465 m (4,806 ft) high. The chain began to form approximately 95, 000 years ago, and the volcanic activity that formed the range stopped only about 10,000 years ago. 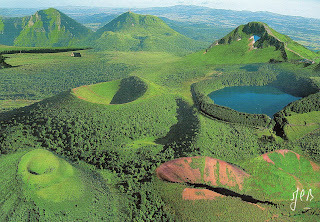 The majority of the cones were formed by Strombolian eruptions, and these cones usually have well-defined summit craters. Some have nested craters, and others show broken rims where lava poured through.